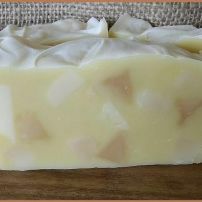 commented on "Spearmint & Sweet Orange"
A refreshing scent of spearmint & sweet orange makes this soap very popular with the younger generation. 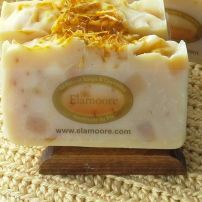 commented on "Sweet May Honeycomb"
The energising scent of citrusy May Chang and Calendula petals are blended into this rich and creamy soap. 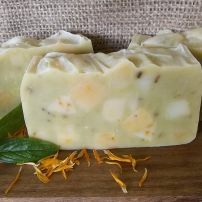 commented on "Mandarin, Oats & Raw Honey"
commented on "Green Tea, Calendula & Raw Honey"
Calendula is beneficial for dry skin and can help with skin irritations and rashes. 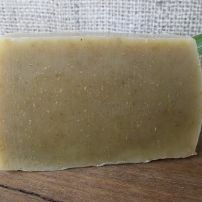 Green tea is calming and protecting to your skin. 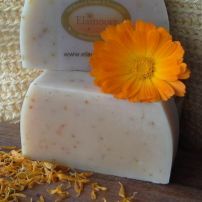 commented on "Calendula, Chamomile & Raw Honey"
Calendula (Calendula officinalis ) has perhaps the longest history of use of any herb in skin care. 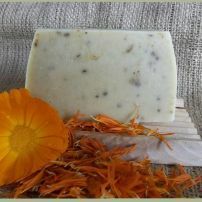 Chamomile is used in skin care as an emollient and for its anti-inflammatory effects. 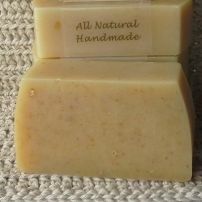 Honey is a natural humectant with antimicrobial properties. 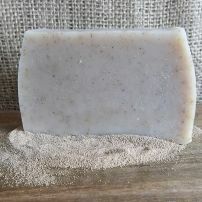 commented on "Coffee, Sweet Orange & Honey"
A stimulating scrubby soap that cleans with a nice citrusy scent of sweet orange & may chang and just a hint of clove. 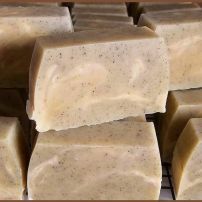 commented on "Cedarwood & Honey with Crushed Walnut Shell"
The warm calming scent of Cedarwood & Lavender and a delicate scent of Sweet Orange essential oil. 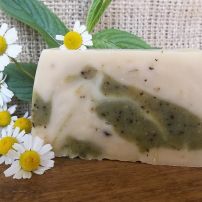 commented on "Honey, Ginger & Lemongrass"
commented on "Spearmint, Chamomile & Honey soap"
Spearmint is ideal for relieving headaches, stress and fatigue.